Learn all about what makes our quilts the best choice for your hammock camping system. All of our Hammock Camping Quilts are made with APEX Climashield™ Synthetic insulation. Climashield™ is the industry leader in synthetic insulation and is used by many major outdoor brands. Here at Arrowhead Equipment we have produced the KAQ line for over 9 years with literally thousands of quilts produced to date. Climashield is THE most durable synthetic available, it will insulate even in humid and wet conditions where other insulations will lose loft and will dry faster than other insulations. We produce a wide range of quilts to suit everyone and nearly every hammock types and style. It's an ideal alternative to down products produced by animals. APEX™ is the newest and best preforming version of Climashield synthetic insulation available. It's the same weight as our previous 3 season insulation but it will pack down 15-20% smaller and will provide 5°-10° greater warmth at the same time. 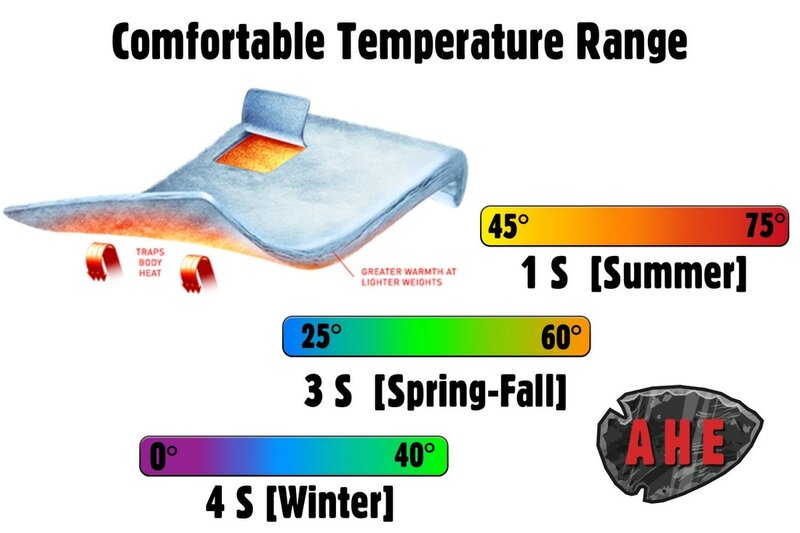 We are proud to offer APEX Climashield exclusively in all of our quilts. To build our quilts we select the best quality Made in America Fabrics. In fact, all of the materials and insulations we use are made right here in the USA. We start with first quality 30 Denier - 1.1 Ripstop Nylon that has been treated with a high-grade Durable Water Repellent (DWR). This fabric is produced to be the highest quality nylon ripstop built in America. And we have been using this same fabric in all of our Hammock Camping Quilts for over 9 years. In that time we have produced thousands of quilts with it. This long-standing history gives us confidence in the quality and durability of the quilts we build. We know our gear will serve you for years of use in even the most challenging conditions nature will present you with.